One should be careful what one admires. Shortly before Christmas I stopped to admire this sword in a cutlery store. I held it, looked at it, resisted scalping the nearest teenager, etc. To my surprise, I next saw this sword underneath my Christmas tree. So, be careful what you admire. "Do you feel lucky punk? Well, do you?" 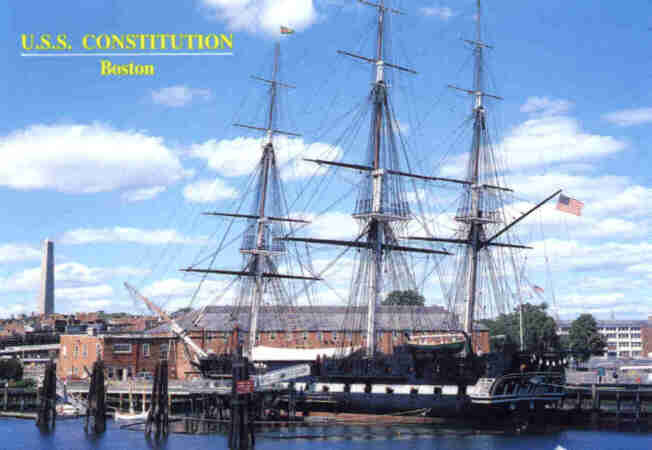 The USS Constitution docked in Boston is the oldest commisioned battle ship. Commisioned in 1798, it is still used today to honor certain events such as the 4th of July.